The Pokémon Company has announced that a demo for Pokémon Omega Ruby and Alpha Sapphire will be available next week from October 21st, and to celebrate, they have a trailer showing off new gameplay and Mega Evolutions. To get the demo, you'll have to sign up for a Pokémon Trainer Club account on Pokémon.com, and "other methods" of getting it, most likely through the Nintendo 3DS eShop, will be announced shortly after. The demo will allow players to battle with the highest evolved forms of starting Pokémon – Sceptile, Blaziken and Swampert – and players will even be able to toy around with their Mega Evolution forms. Like all the best demos these days, this one will grant players who beat it the ability to carry over items and one special Pokémon into the main game. Sign me up! As for the Mega Evolutions in the trailer, we find out they are the ones confirmed by Serebii.net yesterday. 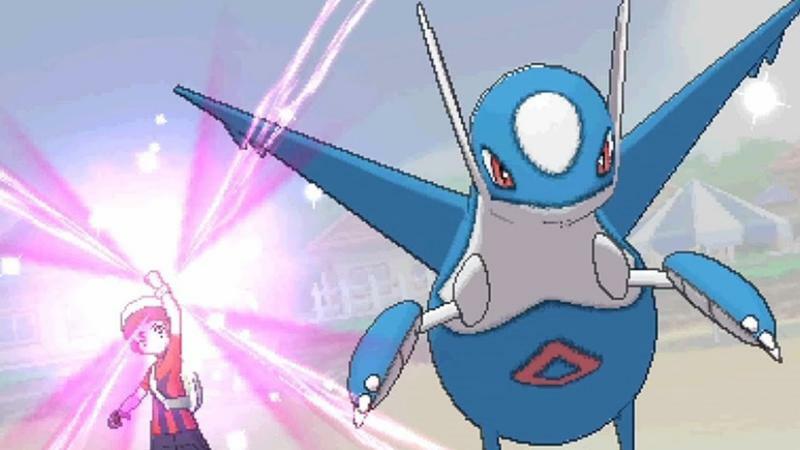 Mega Latios and Mega Latias, the major Pokémon exclusive to either version of the game, both have an amazing ability to carry trainers off into the sky to catch rare and exciting flying types. Joining them are Mega Pidgeot and Mega Beedrill, other flying Pokémon you might stumble across in your aerial adventures. So be sure to sing up and check out for the demo for Pokémon Omega Ruby and Alpha Sapphire on October 21st. Enjoy it while it lasts, because the full game goes on sale a month later on November 21st.